Robert is a founding member of Corrigan, Baker & Levine, LLC. He practices in the areas of corporate and real estate law, representing both large and small entities in a broad range of matters. He has extensive experience counseling and advising clients regarding such issues as corporate formations, structuring and restructuring, business sales and acquisitions, operating agreements, shareholder agreements, employment and severance agreements, and general commercial litigation. Based on the breadth of his corporate practice and experience, he often serves in a “general counsel” capacity for his clients, overseeing all of their legal needs. Robert’s real estate practice covers property sales and acquisitions, leasing, financing, development, and litigation. He has represented both buyers and sellers regarding the transfer and development of large commercial properties. He has also represented various lending institutions in both real estate and general business financing. Robert is also very involved in community activities and organizations. He is currently a member of the Board of Directors of the Hudson Valley Economic Development Corporation (2011-present), serving as Interim Chair (2016) and Chair (2017-Present) of the Board of Directors. Robert also sits on the Board of Directors of Walkway Over the Hudson (2015-present). 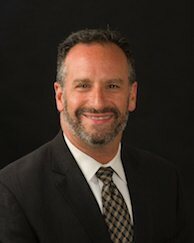 He has previously served on the Board of Directors of the Boys & Girls Clubs of Northern Westchester (2008-2014), Make-A-Wish Foundation of the Hudson Valley (2001-2008), New Castle Baseball and Softball Association (2012-2014), and Greater Southern Dutchess Chamber of Commerce (2010). © 2015-2017 Corrigan, Baker & Levine, LLC. All Rights Reserved.